During his eight years at the helm of Al Jazeera, Wadah Khanfar was widely considered one of the most powerful figures in the world. 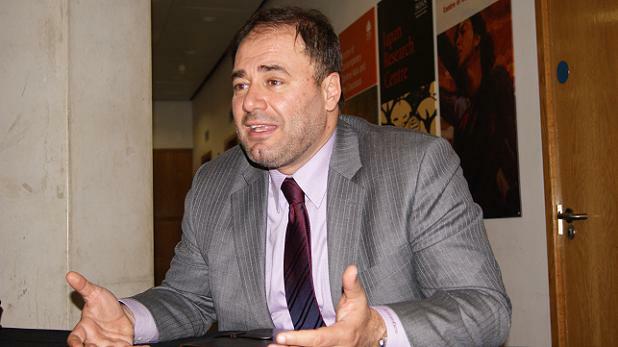 In a spirited interview, he spoke to editor-in-chief Hicham Yezza about the future of the Arab world, why he left Al Jazeera, and what he plans to do next. 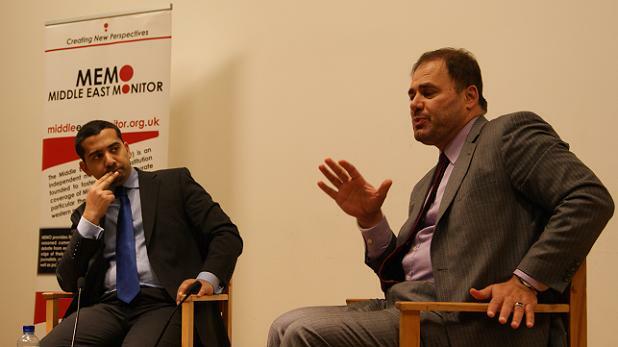 Two weeks ago Wadah Khanfar, former Director-General of Al-Jazeera, was in London to take part in an event entitled “Securing the Arab Revolutions” that was organised by Middle East Monitor (MEMO) and chaired by Mehdi Hasan, senior political editor for the New Statesman. After the event, I caught up with Khanfar for an interview to discuss his views on the events, and controversies, of recent months as well as the road ahead, both for the region and himself, notably his new initiative, the Sharq Forum. I started by asking him to elaborate further on the title of his talk, “Securing the Arab Revolutions”. Wadah Khanfar The issue that I think is very relevant to our current reality in the Arab world is how to transcend the discussion and debate that we had during the revolution into something that might be helpful for political groups, traditional movements and even governments after the revolution. The networks that were established by the youth had a profound impact on the way that politics and social life were conducted during the revolution. To give you an example, the Yemeni society is very tribal. However, through the process of networked reality, the Yemeni society itself became flat, so you will see chiefs of tribes, and you will see tribesmen in Al Taghyeer square, with youth, with other groups of the public, working together without any barriers. Not only that, you will see them chanting slogans after a woman, which is not easy to see in a society like that. In Tahrir square, 25 days before the revolution, you had a huge crisis emerging between the Muslims and the Copts, after the explosion in Alexandria. However, in Tahrir square you will find Muslims praying on Friday and Christians protecting them, and you will see on Sunday Muslims doing the same for the Christians. So the idea is that the networked reality in the Arab world created a magnificent culture of tolerance and redefined the boundaries within the society and made it much wider to an extent that includes everyone. We would like that to be extended to another circle, which is the circle of institutionalised political groups and parties. They must redefine their ideological rhetoric, structural forms and hierarchies and become much more flexible to include others in the society. We also need a political consensus. During the last few decades we didn’t have a chance to talk to each other. Islamists have their own tools and institutions and their own rhetoric, the same goes for Secularists and Arab nationalists. We never had a chance to sit together and to develop some kind of consensus on values. Yes, on implementation, people have to disagree, but what about overarching values and principles for their society and for the public interest? In London for example – in Britain – when new elections take place and the Labour party takes over from the Conservative part, it does not change the principles, the core interests of the state. Parties compete amongst themselves to achieve the State’s best interests, not to replace it. In the Arab world, the new political groups that are arriving into power should understand that they should first come to a consensus on what exactly the issues of political interests and the identity of the state should look like, and then they can actually develop a stable democracy. In order to do so, we launched two days ago the Sharq Forum (in Tunisia). The idea of the forum is to launch a platform for various political groups and youth networks, and even business people and various sectors of the society, to develop a consensus on the principles and values of democracy and, at the same time, to exchange thoughts and ideas and to create a much more tolerant environment in the Arab world, not based on the electoral weight of each party but based on how good and great the ideas put forward. In the summer we will have our first conference – but we will have many other specialised sub-conferences and forums all over the Arab world. Hopefully, by getting people together we can, again, bring the essence and the spirit that Tahrir square and the revolutions, and networks, in the Arab world created and make it available and common amongst elder generations from the political leaders and even from newly elected governments and parliaments. Hicham Yezza: In your talk you said something very interesting about there being “no trust, only interests”. This comes back to a lot of questions we keep hearing, especially from the anti war left, namely how can the Arab Spring still be considered a mass movement if it is – at least on the surface – supported by the United States? The assumption is, if there is US support, then there’s something unsavoury to it. WK: We have every reason to believe that the united states did not favour the revolutions at the beginning. They were actually speaking about “stability” for the Egyptian and Tunisian regimes. The French supported Ben Ali. The revolutions did not consult with anyone and were not supported by anyone. They have grown organically from within society. But when the Americans, and the foreign governments, felt that this is a trend that no one could change they too started supporting it. But this support was on a rhetorical and political basis, it was done in the interest of these countries, not in the interest of revolution. If the support was in the interest of the public it would have been done a long time ago, when Ben Ali and Mubarak were favoured by the west. In my opinion, what the Americans did, and what the western governments did, was for their domestic image and also because they felt that they needed to have a much more positive relationship with the masses of the Arab world, because the masses right now are in control. They did it for their own interests. The revolutions today are not really supported by the US because, as I told you earlier, they promised 34 billion dollars for Tunisia and Egypt, and none of that was delivered so far. We still need to see what kind of support western governments might really give to these new Arab governments. HY: Here in the UK, especially among many Arab youth and students, the media coverage around Syria for instance is creating a lot of internal conflict. On the one hand, they clearly want democracy and want to do something to help what they see as a legitimate uprising being crushed by force. But on the other hand, the fear of a Libyan scenario, which they see as different from the Egyptian scenario; that it’s about regime change rather than “people vs power”. I agree with you. Everyone was wishing that the revolution in Libya would continue peacefully and would reach its destination without any foreign intervention. But there is a very important thing that, frankly speaking, everyone in the region knows. That night, when the forces of Gaddafi approached Benghazi and they were about to crush the city, they were facing a potential massacre. The mood in the Arab world, and in Libya, was to call for foreign intervention to stop Gaddafi’s troops from entering Benghazi. So the foreign intervention in Libya was called for by the Libyans, and by many Arabs in the region, which is exactly contrary to what happened in Iraq. When the Americans intervened in Iraq most of the people in the region were against that. The result is that, right now NATO has gone out of Libya and a government has been formed and is going through a democratic process. I don’t really feel, to be frank, that the foreign intervention – which we did not like, none of us did, but alas was a necessity to protect civilians – the foreign intervention will not continue, and has not continued. Hopefully the country will go through reconciliation, and I am optimistic that the Libyan society right now is aware of what should be done in order to reach a new consensus as well, especially between tribes that fought on both sides. And I feel they have started to really come together and to have a national reconciliation which in my opinion will lead to much more stability. HY: In the aftermath of the recent upheavals, especially in Libya and Syria, some of those who had praised Al Jazeera for its coverage in Egypt and Tunisia are now blaming it for being an “agent of imperialism”. If you had to present one reason for why we shouldn’t believe this assessment, what would be your best argument? WK: For the last fifteen years, Al Jazeera did not change its editorial policy. From the day we launched this channel until now, Al Jazeera adopted a philosophy with one direction: to give an opinion to everyone and, at the same time, to also look at the direction of where the public interest or, let us call it “the pulse of the nation” is going. That kind of policy, at the beginning, was favoured by the Americans and the western governments, who looked at Al Jazeera as the voice of democracy up to 2001. In 2001, the Americans changed their opinion, they started looking at Al Jazeera as a threat and they bombed our bureaux and they killed our journalists. Despite that, we did not change, and continued doing the same thing. We continued to support democracy and freedom of expression in the Arab world until the revolutions started, even when the west had actually given up on it. In my opinion we did not change, the philosophy was the same: supporting democracy and freedom of expression and becoming the “voice for the voiceless”. This is what we did. That has not changed. The west changed, from supporting democracy, up to 2001, then supporting authoritarian regimes, up to the beginning of Arab Spring, and now they are shifting. We did not. We’re not the voice of anyone beside the public. And why will we be the voice of the Americans? For what reason, would we be the voice of imperialism? For what reasons? When hey killed us, when they bombed us, and when they were conspiring to bomb Al-Jazeera’s headquarters in Al Doha, we did not change our opinion. We did not change our editorial policy. Why would we change it today? HY: For my last question, I’d like to bring it back to the personal. You have now moved on from Al Jazeera, and I wanted to know, first, where do you see yourself in five years time. Secondly, in the aftermath of your departure, a lot has been said about the reasons behind it, and you have spoken about it yourself, leading to lots of theories. Is there anything new, that hasn’t been said? WK: I have decided that eight years are enough to implement your vision, to give the best that you have. Then you start a routine, you start repeating yourself. So I thought that it was not fair, neither to myself nor to Al Jazeera for me to continue. That was my decision. Where am I heading? I have started the Sharq Forum which, as I told you, is trying to help the youth in particular, and political groups as well, to go through the transition. I hope I will stick to that and I will be trying – with my colleagues, of course, not on my own, a lot of people – to help. We are establishing a network rather than a hierarchical organisation and, hopefully soon, this culture of networks, of public participation, will become in the Arab world a phenomena that will go beyond the youth to encompass everything, and I would love to be there. I would love as well to develop media, which I call “people’s media”, that takes the essence of participation and interactivity and builds on social networking, and genuinely puts the human being at the centre. This is what I hope to do. HY: Wadah Khanfar, thank you very much for talking to Ceasefire.